Losing the Signal is the riveting, never-before-told story of one of the most spectacular technological upsets of the 21st century. Unlike Enron, which was undone by its executives' illegal activities, or Lehman Brothers, which collapsed as part of a larger global banking crisis, BlackBerry's rise and fall is a modern-day tale of the unrelenting speed of success and failure. It is a thrilling account of how two mismatched CEOs outsmarted more-powerful competitors with a combination of innovation and sharp-elbowed tactics; and how, once on top of the world, they lost their way. The company responded too slowly to competitors' innovations, and when it finally made its move, it stumbled with delayed, poorly designed and unpopular smartphones. A little more than a decade after Research In Motion introduced the BlackBerry, it is now struggling to survive. Its share of the US phone market fell from 50 per cent in 2009 to about one percent in 2013, showing just how aggressive, fast and unforgiving today's global business market can be. I've slept with one under my pillow / at my bedside for 3+ years. I've tripped while racing to see why my red light is blinking. My right thumb is extremely limber from years of trackwheel and trackball use. 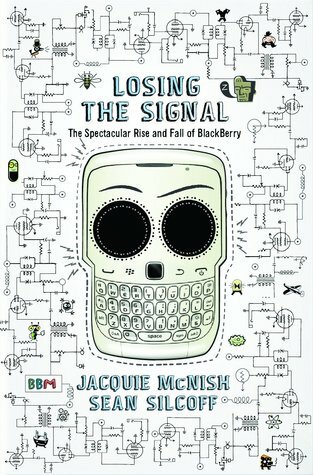 Losing the Signal provides an intimate and behind the scenes look at how BlackBerry helped shape the mobile device industry and was eventually left in its dust. The book is extremely well researched and I highly recommend it to readers who are interested in Canadian business or the telecom industry.